Last week I bought a whole watermelon. It was a great deal and I couldn’t pass it up. I should have known that half of it wasn’t going to get eaten by my family because only my daughter and I really like watermelon. Since my daughter and I ate as much as we possibly could before watermelon we were sweating watermelon juice, I decided to use the rest of it to make some frozen treats for the dogs. Sherman has always been a fan of a watermelon and while Leroy is on a restricted diet because of the IBD, he can have one here and there. 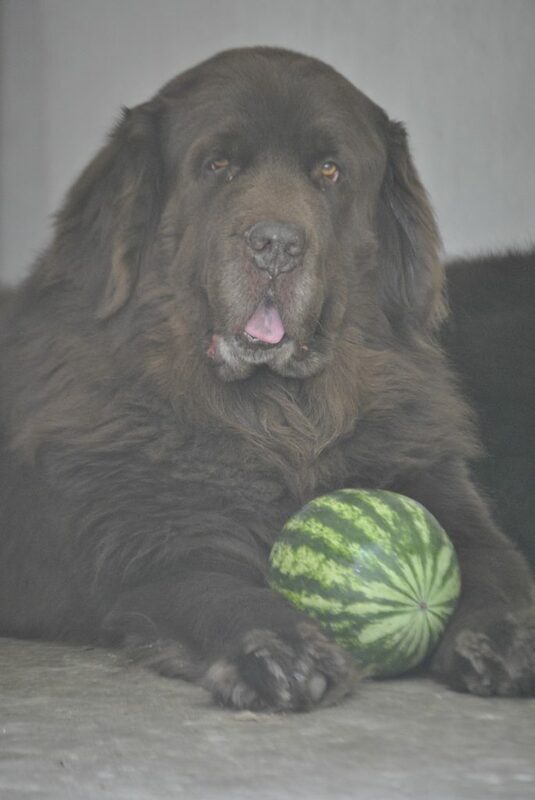 Watermelon can be a great way to keep dogs hydrated in the summer since it’s 92% water. It’s also fat-free, low in calories and contains vitamins A, B6, and C, and potassium. Just make sure to remove the seeds (I always buy a seedless watermelon but somehow still manage to get seeds) and don’t feed the rind. Also, too much watermelon can cause some dogs to have diarrhea so make sure you give it in moderation. I really wanted to add fat-free yogurt to these but I’m trying to be super careful with what I give Leroy right now so instead, I went with a cucumber. Cucumbers are another great food to keep dogs hydrated because they are 96% water, low calories (about 8) and if you have a garden, most likely you have them growing right now so they are free! 3 cups (or whatever you want to use) fresh seedless watermelon. 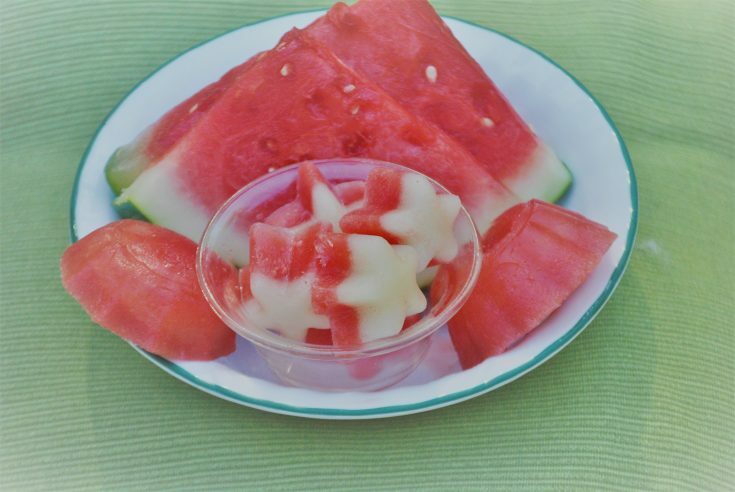 Cut the watermelon into slices or cubes and cut off the rind. Remove any seeds and toss the watermelon in the blender and puree. Pour watermelon juice over frozen cucumber juice that is already in the molds and let sit for another 4 hours or overnight. Remove from the mold and serve to your pup! Peel the cucumber and cut in half lengthwise, then remove the seeds with a spoon. Toss the cucumber in the blender and puree. 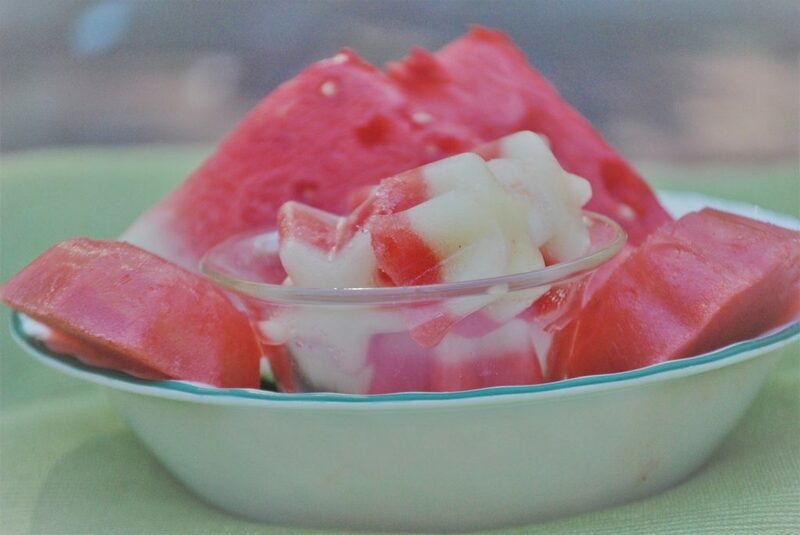 Cut the watermelon into slices or cubes and cut off the rind. 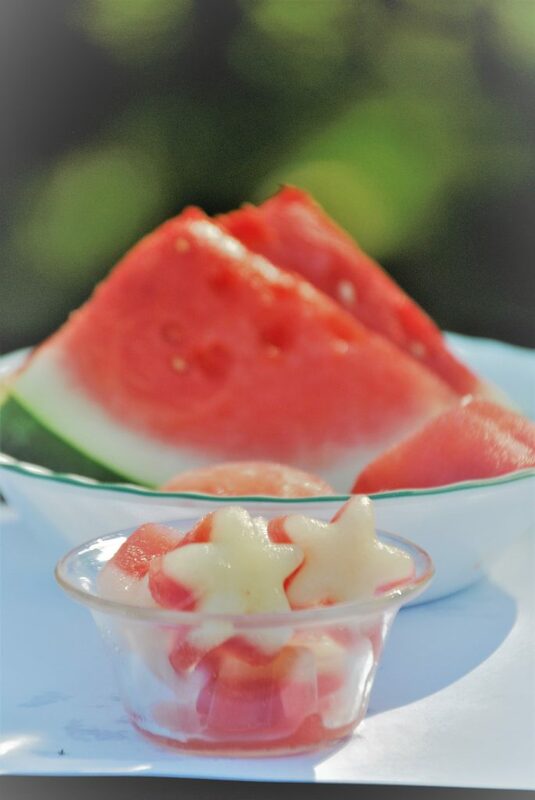 Remove any seeds and toss the watermelon in the blender and puree. Pour watermelon juice over frozen cucumber juice that is already in the molds and let set for another 4 hours or overnight. Remove from mold and serve to your pup! I used silcone molds but you could also use muffin tins, ice cybe trays or small plastic dixi cups. The amount of time you need for freezing will depend on which type of molds you use and how big they are. You can add these to their water bowls on a warm day. The amount of time you need for freezing will depend on which type of molds you use and how big they are. I used small, star-shaped ice cube molds and 3 big silicon cupcake molds which are great for big dogs! These smell so good and refreshing and the boys loved them. It’s also something you can add to their water bowls on a warm day or you can even use them as ice cubes in your own water and they are fat-free! Woo-hoo! « Why Do Some Dogs Eat Grass? Very clever use of leftover melon.